Are you looking for books to add to your Christian reading list? 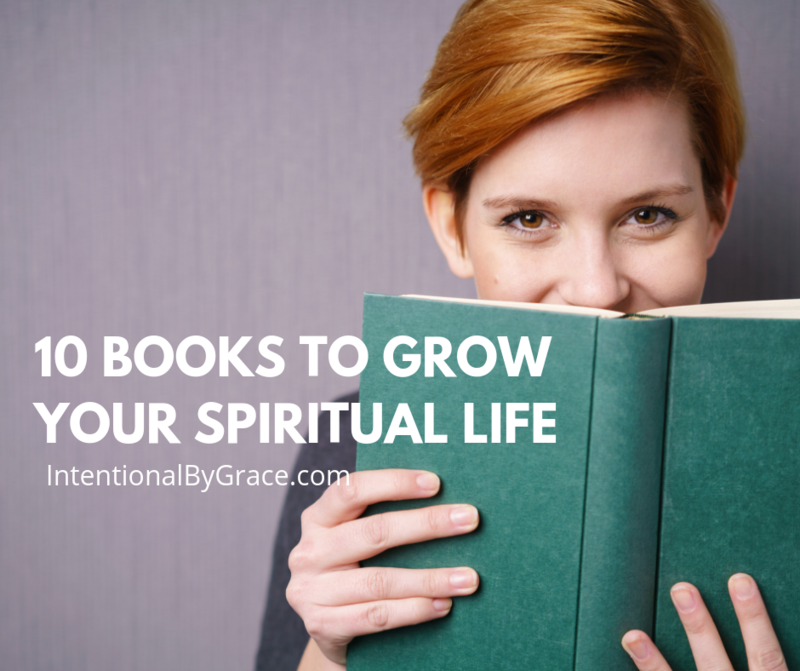 Today’s post will help you add books that will help you grow in your spiritual life to your stack! 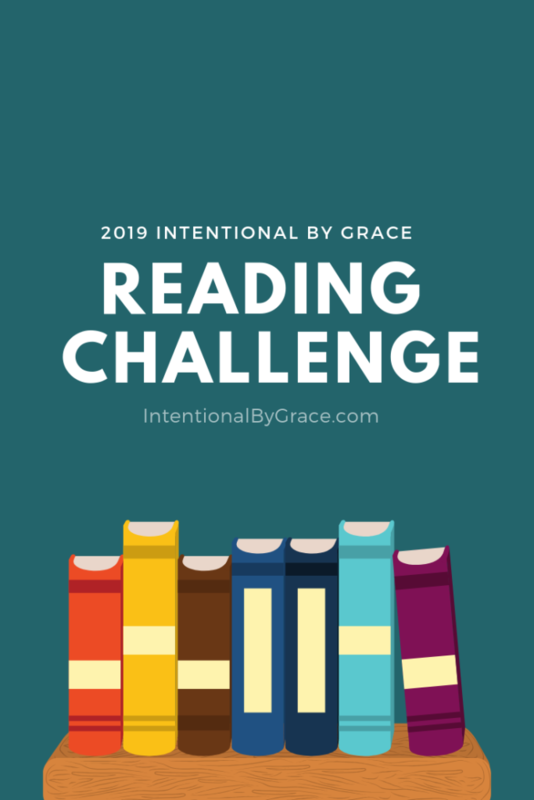 There are several categories in the 2019 Intentional By Grace Reading Challenge pertaining to reading books to grow your spiritual life. 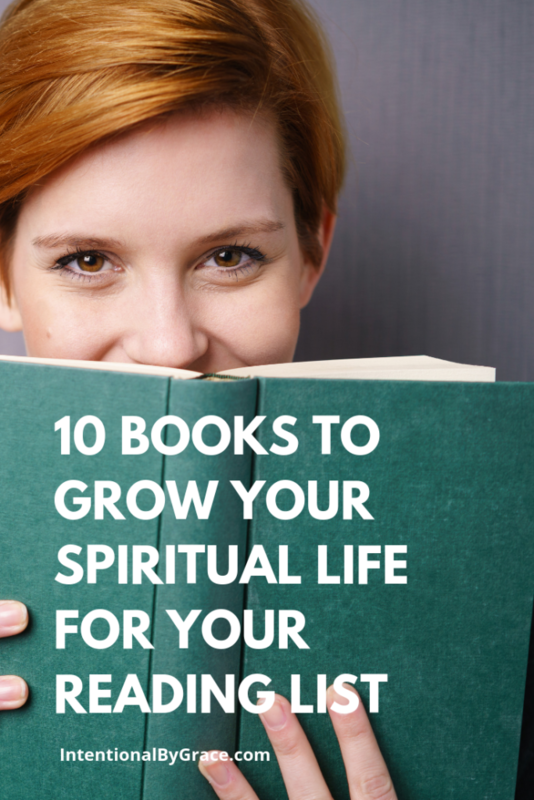 Therefore, today we’re sharing 10 books related to the topic of growing in your spiritual life that we mined out of the sea of Christian reading material to help guide you in choosing good books on this topic. Because I believe the more we know God (and how to grow in our knowledge of Him), the better equipped we are to love others through our words, actions, and attitudes. Offering a clear and concise plan to help women go deeper in their study of Scripture, Women of the Word will equip you to engage God’s Word in a way that trains your mind and transforms your heart. What Happens When Women Pray is a practical and biblical book about prayer. Its teachings have been tested in hundreds of prayer seminars all over the world, as both men and women have learned to pray in more personal and believing ways. What Happens When Women Pray will show you how to move into the dynamic that occurs when people pray. It just might change your life or the life of someone you know and love. Disciplines of the Heart: Tuning Your Inner Life to God is a sequel to Anne’s book, Disciplines of the Beautiful Woman, which was all about the outward life – using a notebook, keeping a desk, organizing yourself and your home. But Anne didn’t want to just be known for teaching women about how to order their outward lives when their inward lives desperately needed ordering as well. Disciplines of the Heart tackles the hunger in us for more than being organized and productive and helps us tune our hearts to holiness. Are you spiritually healthy or just spiritually busy? This book’s 10 probing questions will help you look beyond your spiritual activity to assess the true state of your spiritual health and help you on your journey of spiritual transformation. See how the spiritual disciplines―including prayer, worship, and meditation―can take your spiritual health from fair to excellent. If we’ve grown weary of Christianity, if we find most any local church uninspiring, maybe the problem lies not in the Christian faith or these faithful bodies, but in our own disgruntled hearts. In With, Syke Jethani tenderly unmasks the clichéd posturing that too often masquerades as genuine communion with Christ. More importantly, he takes readers to the humble place they must occupy–in prayer, studying Scripture, with the Church–if faith, hope, and love are to truly mark our lives. In an age of limited travel and isolated nations, C.H. Spurgeon preached to over 10,000,000 people in person—sometimes up to 10 times per week. It is in this classic work that Spurgeon most clearly presents the message of salvation—man’s ultimate need and God’s unique provision—both simply and sincerely, for honest seekers and zealous witnesses alike. 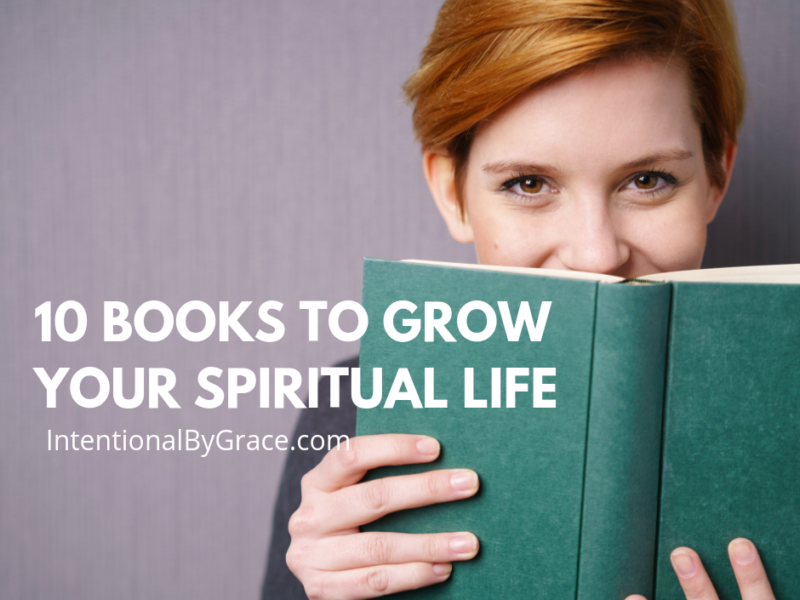 What books would you suggest to grow your spiritual life?? You cannot read either of these books and not be closer to Christ afterwards.